Keep up to date with the latest news from Insignia, and read interesting articles from the world of medical imaging. 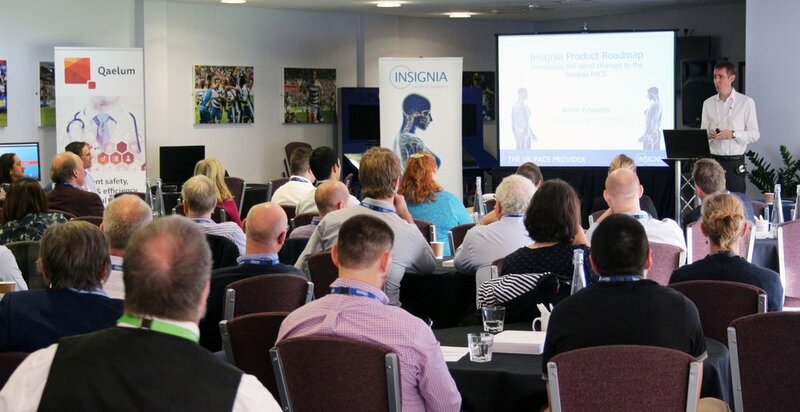 This October, Insignia Medical Systems, the pioneering UK based Enterprise Imaging provider, hosted its 4th annual National User Group Meeting, welcoming their users from across the country to join in a day of knowledge sharing and networking. Taking place at Royal Berkshire Conference Centre, based in the impressive Madejski Stadium complex in Reading, delegates from over 25 Insignia Trusts came together for the day, to meet the Insignia development team and applications specialists for one to one private sessions, hands on demonstrations, and presentations. This year, alongside the talks from the Insignia team, was guest speaker, Barnaby Waters, Imaging Technical Lead from University Hospitals Birmingham NHS Foundation Trust. Barnaby spoke about ‘Clinical Sharing across the West Midlands’ as part of the 100,000 Genomes Project, where Insignia were selected to provide their regional sharing service to the West Midlands Genomic Medicine Centre bringing together 17 acute NHS Trusts. The day’s content proved successful, with 100% of attendees feeling that the event provided them with the information they had hoped for. Having hosted a customer event at their new offices earlier in 2017, the Insignia team are committed to direct interaction with their users, ensuring they keep up to date with latest requirements within the NHS and their UK private clients.